Hello friends! 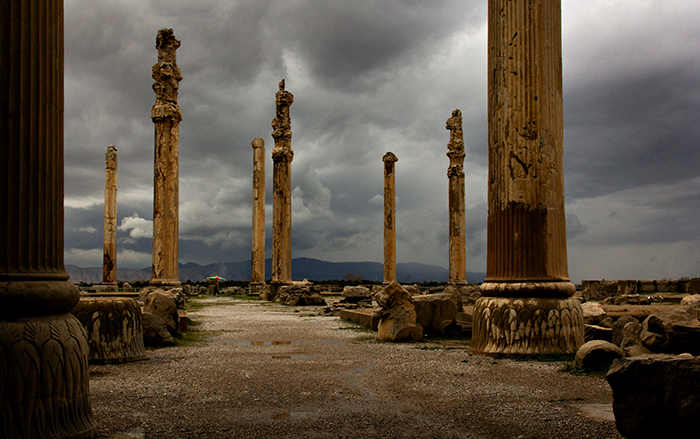 This time we talk about Iran (also called Persia). A two weeks journey done in March. 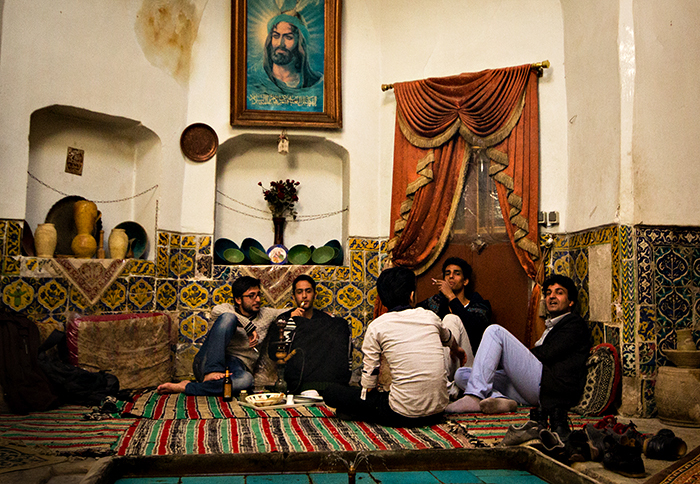 Despite the many clichés, travelling in Iran is very easy. 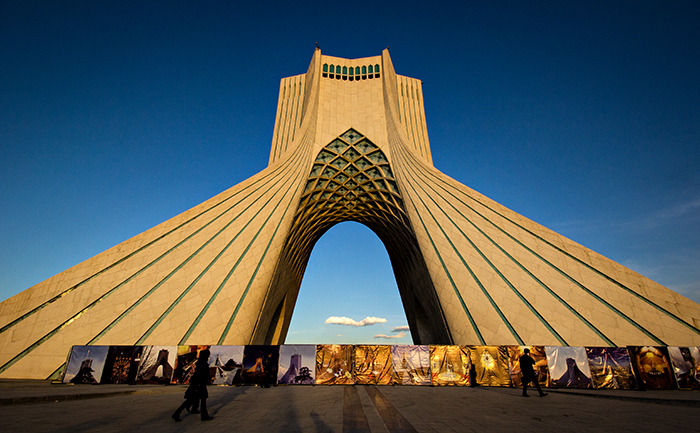 The cities are well connected with frequent buses, there is almost no crime and the Iranians are very hospitable. Some little problems are due to the necessity of bringing all the money with himself from the beginning because the economic embargo blocks to use the foreign credit cards. Sometimes it’s difficult to communicate because few people speaks English. To cross any street is worse than playing the Russian roulette (and I have to admit that at one point as technique I started to use other crossing pedestrians as human shields, including women and children!). 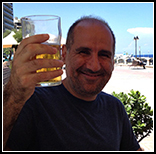 And finally… one big serious problem: no alcohol!!! Ehhhh, due to the Shariʿah, the Islamic law, no alcolic drink is allowed! Two weeks without it, I’m not sure but I think it was since I was fifteen that I didn’t pass two full weeks without drinking anything! Anyway ok, it was not so dramatic. The Theran arch. Theheran was the fist city I visited. From there I went south until Shiraz, stopping at Kashan, Esfahan and Yazd, visiting in the meanwhile also some other places around these cities, including Persepolis, the ancient Persian capital. A restaurant in Tehran. 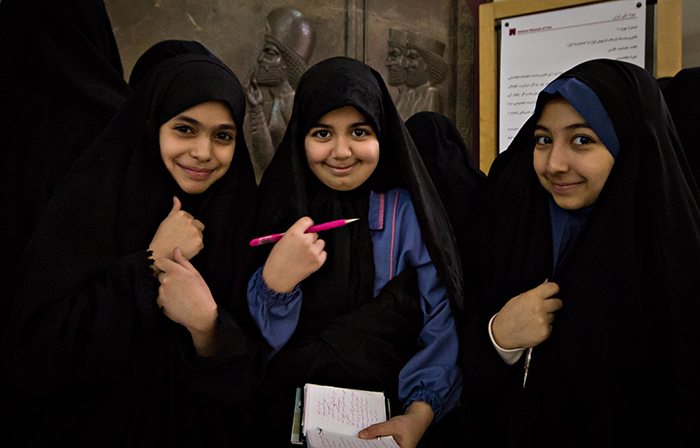 Teheran is not very different from a normal European city and the women often dress in a normal manner, with the scarf covering just little part the head. 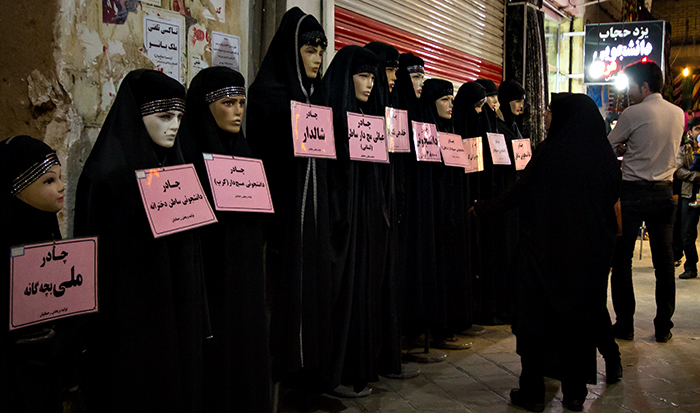 Instead, in smaller and traditional towns the most of the women dress all in black, with the head well covered. 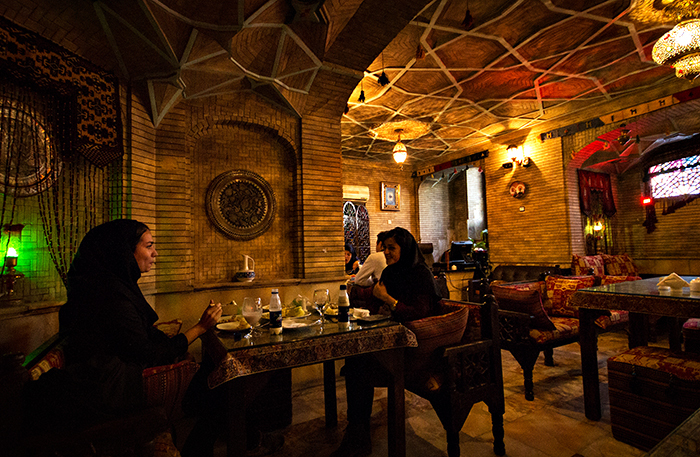 Restaurants in Iran are rare. Probably the reason is due to the fact that the Iranians prefer to the restaurant picnics in parks and the tourists are still few. 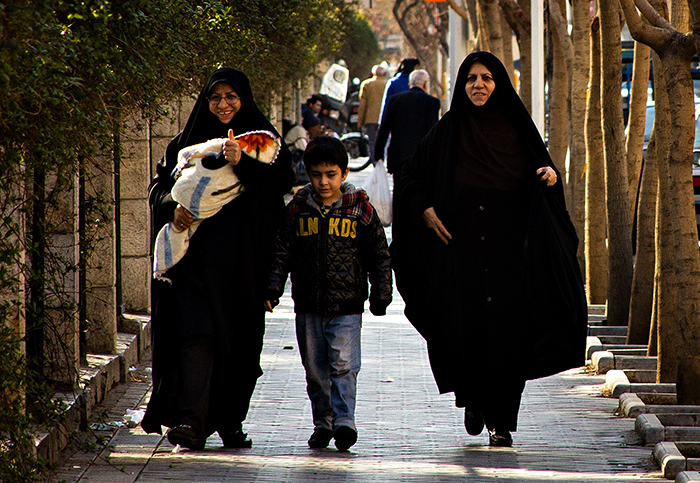 Women in Theren with their typical black dress, the chador. 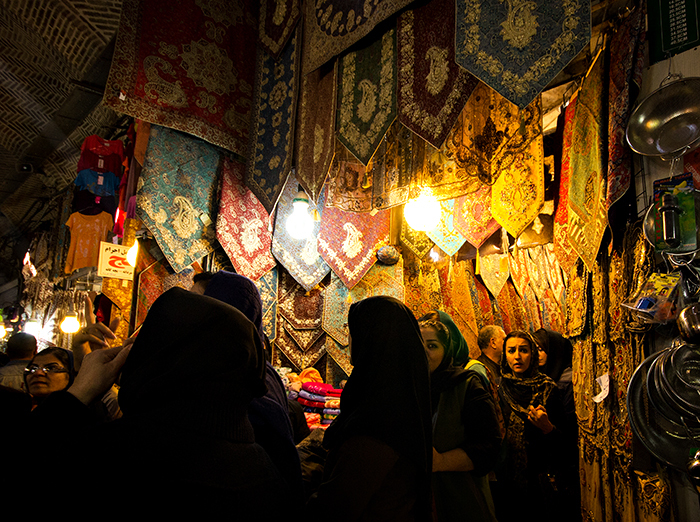 In the Theran bazaar. 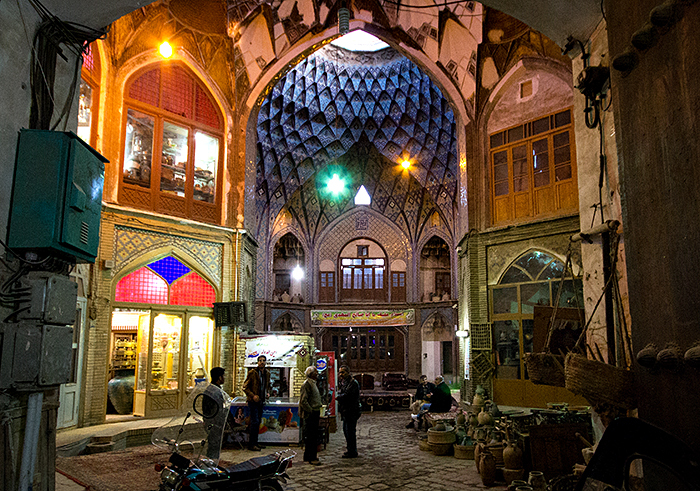 All the Iranian cities have big and lively bazaars. 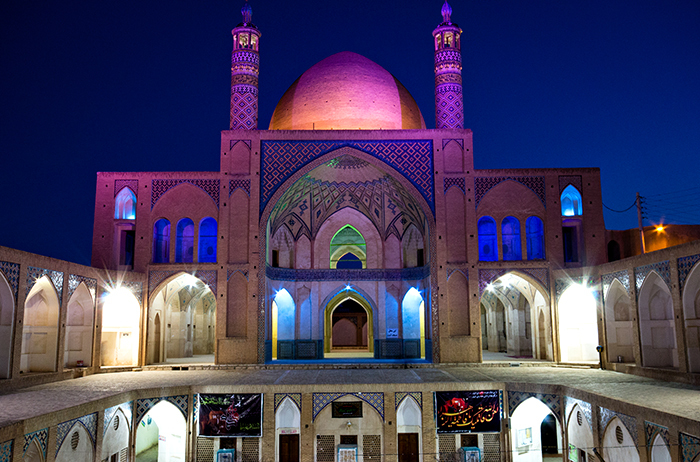 A mosque in Kashan. Generally, the cities in Iran are not very beautiful (apart Esfahan) but are spotted with spectacular places, especially mosques. 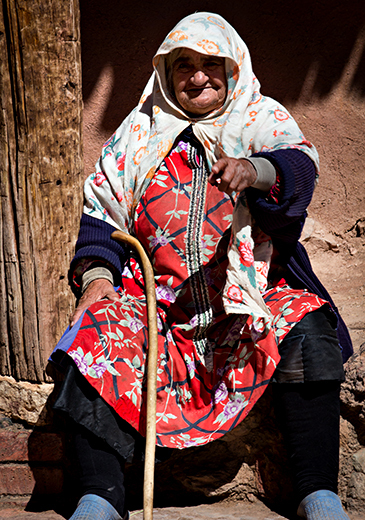 An old woman in the mountain city Abyaneh near Kashan. But… that’s the famous Isis child!! It’s him! 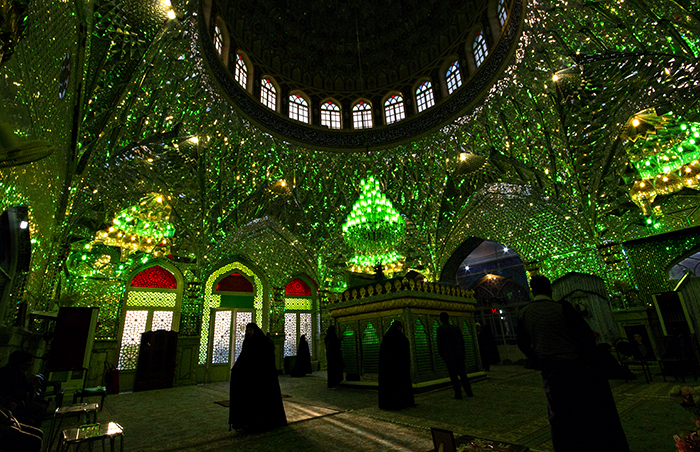 The spectacular and almost psychedelic shrine in Kashan. They were very warm with me, when a woman saw me making photos lit some more lights just for me. After, they offered me tea and chocolates. Boys in a tea house, kind of the equivalent of our pubs. I mean, I may like once in a while to drink a tea… but can you imagine to pass all the youth like that?! Without the possibility to drink? And, as always, we have to blame Americans for this (it is almost an axiom of the contemporary history). In fact, after World War II Iran was going to become a normal democracy with the Prime minister Mossadegh, a secular modernizer. But, obviously, USA didn’t like it, and supported especially by the perfidious England that was terrified by the nationalization of the Iranian oil they were stealing, organized the coup that brought to power as their puppet the Shah Pahlavi, one of the most brutal dictatorships of the last century. 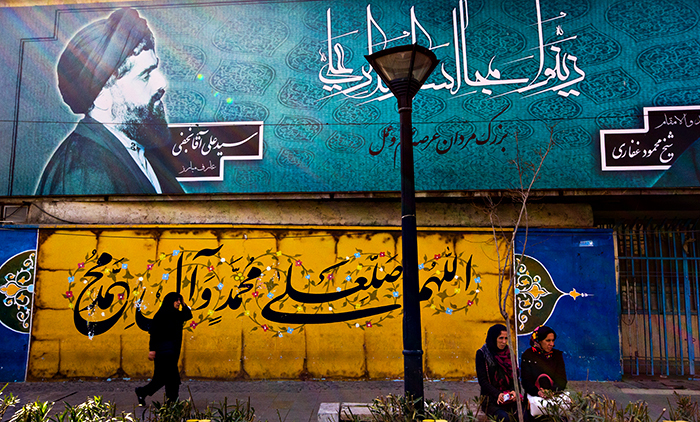 The Islamic Revolution of 1979, with all its absurd laws, came as a reaction to it. 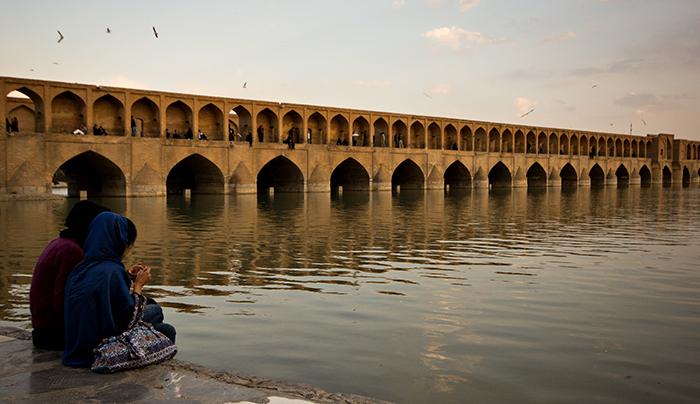 A bridge of Esfahan (or Isfahan), the most beautiful of the cities I visited. 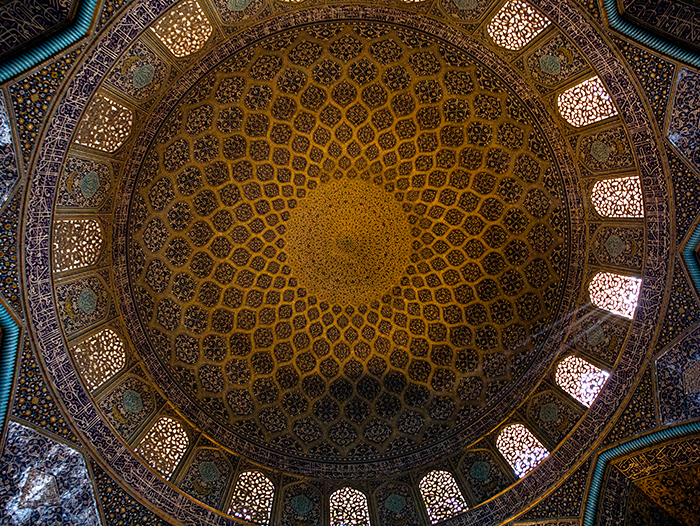 The spectacular ceiling of the Loftollah mosque, one of the mosques on the main square of Esfahan. 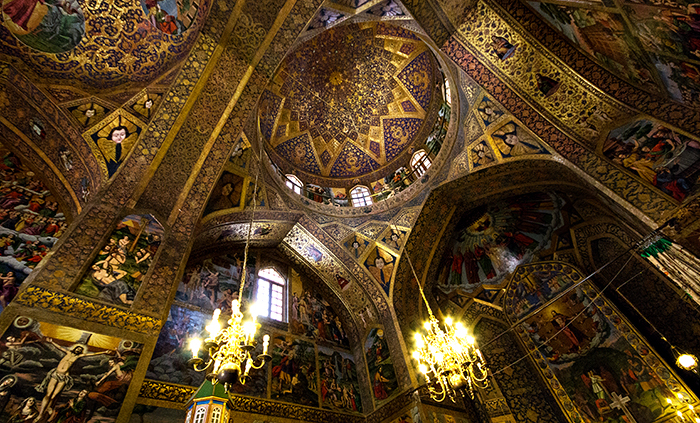 The Vank cathedral, an Armenian Christian church. 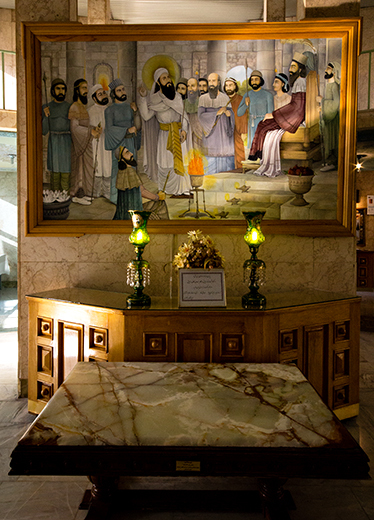 In a fire temple of Zoroastrian or Zarathustra, Persian prophet who will be after reinterpreted by Nietzsche. It was the main religion of much of Central Asia, before the advent of Islam. This is the temple in Tehran, actually a normal building with an empty room where in a corner, in a small room aside, there is the sacred fire that burns. I saw also another temple Yazd, one of the original places of Zoroastrianism. It was as well a recent building, but with a flame that moving from various temples is said burning continuously since 470 AD. In Yazd. 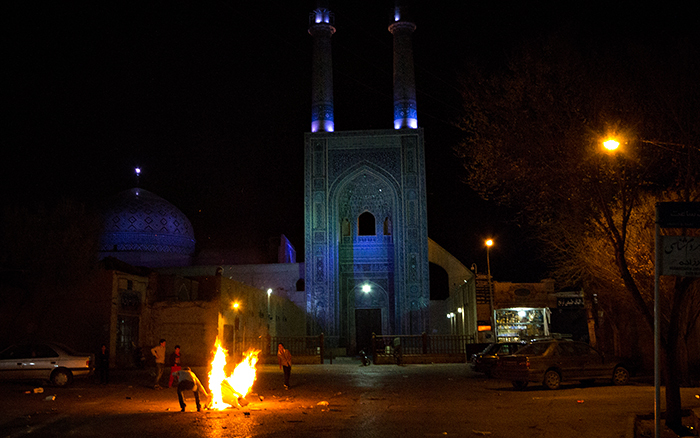 On the Wednesday before the Iranian New Year (that is on March 21, when they entered in 1394) there is the fire celebration. 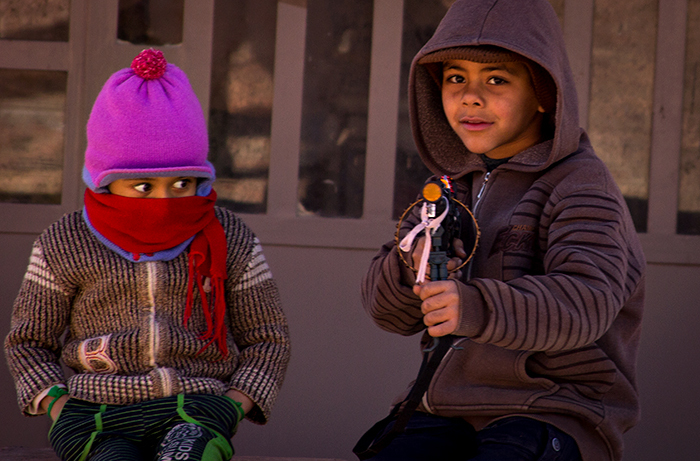 The boys light up bonfires in the streets and then throw in… gas cylinders! That exploding fly around, wherever it happens. 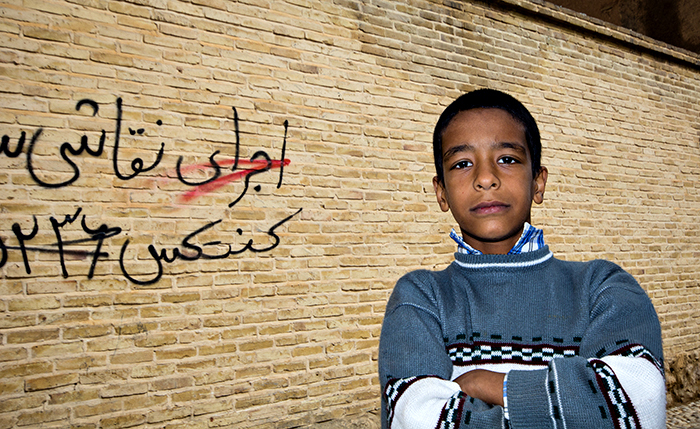 A kid in Shiraz, the last city visited. Probably the name of that wine comes from here, in fact it is one of the first places in the world where wine was produced, in some local ancient jars it has been found traces of wine of about 7000 years ago! But today there isn’t, paradoxes of the history. The ruins of Persepolis, one of the most beautiful cities of the ancient world, purposely destroyed by Alexander the Great in 330 BC. Alexander the Great?? But how can be possible? The bearer of the sublime Greek values in Orient? The man who according to Hegel was instrument of the “cunning of the reason” that trough him could materialize his rational spirit in the ancient world? Destroys everything like that, for no reason? Eh yes. He did it, he did it. 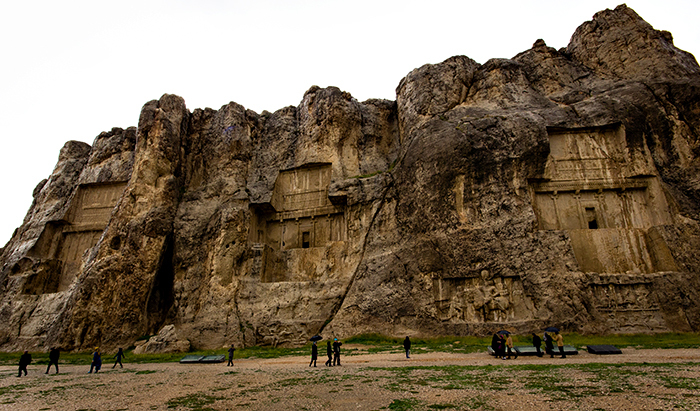 Tombs of ancient Persian kings, including Dario. Big hooligans as well, they instead set fire to the Acropolis of Athens. So as you see, nothing has really changed, I destroy you, you destroy me and everybody is happy. 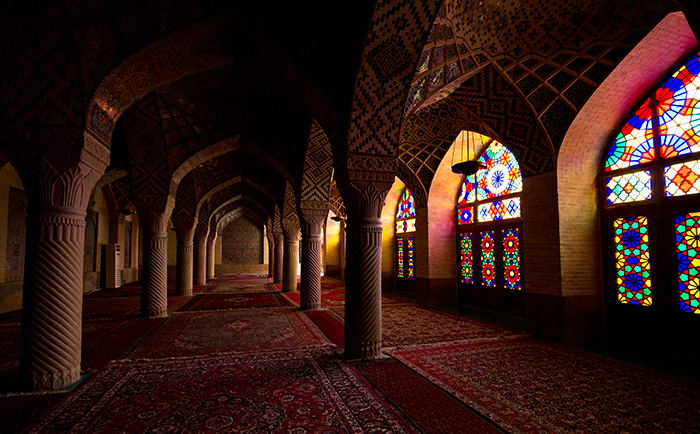 The pink mosque in Shiraz. And a selection of 40 photos with better resolution. This is the map of all the nations I visited until now. 81. Not bad, but now I don’t have to sit on laurels. Who hesitates is lost. Just a moment just a moment dek… and what did you eat there?? It’s easy: aubergines stew. For some reason it was almost always the only vegetarian dish available. Well… and now let me get a glass of wine to all of us! This entry was posted in iran and tagged iran by Dekaro. Bookmark the permalink. I like Gionacu’s stories and their humoristic twists!